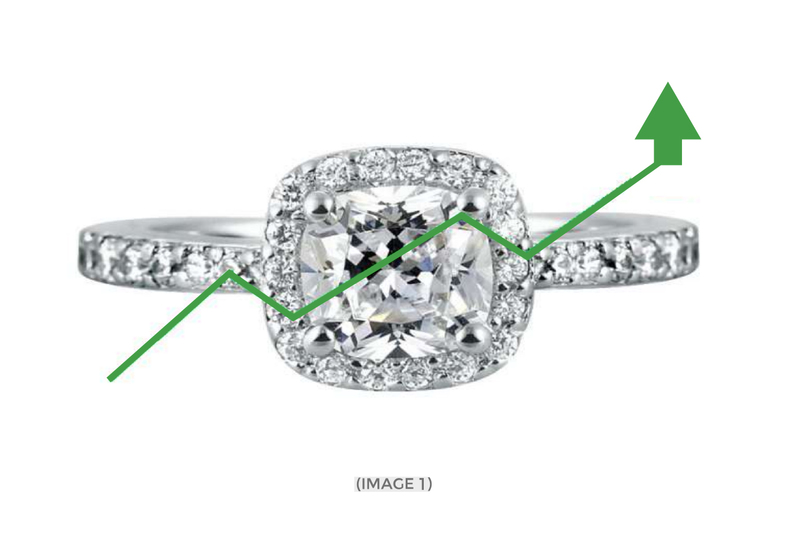 Our client provides online lead generation in the secondhand diamonds industry. After launching two new websites, they wanted a partner who could help build long-term success for their website, helping generate organic traffic using strategies that would be resilient to algorithm updates while providing targeted traffic. They hired us to manage one of their websites, while selecting an overseas provider for their other website. This case study details our approach to the project, the results, and how they compared with the performance of the overseas SEO company. 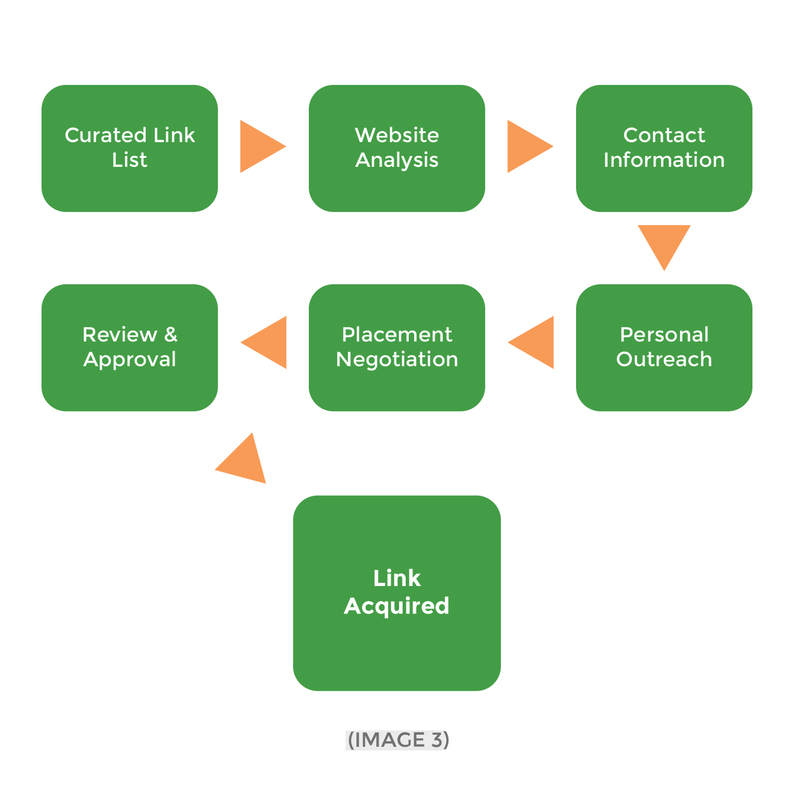 Our client was launching a new website with one goal: generating leads. Rarely do we have the opportunity to start with a clean slate like this, and they trusted us to build the strategy from the ground up. They were providing a similar opportunity to a team overseas. Our goal was to develop a website that would be resilient to major Google search algorithm changes and deliver sustainable, consistent growth and leads for the client. We decided on an approach that focused on developing strong content each month, then promoting that through social, blogging, and news channels. We buttressed this approach by ensuring strong fundamentals and setting up effective social and business presences. Our firm doesn’t always promote and encourage content strategies. It depends on many factors, including the industry and objectives. 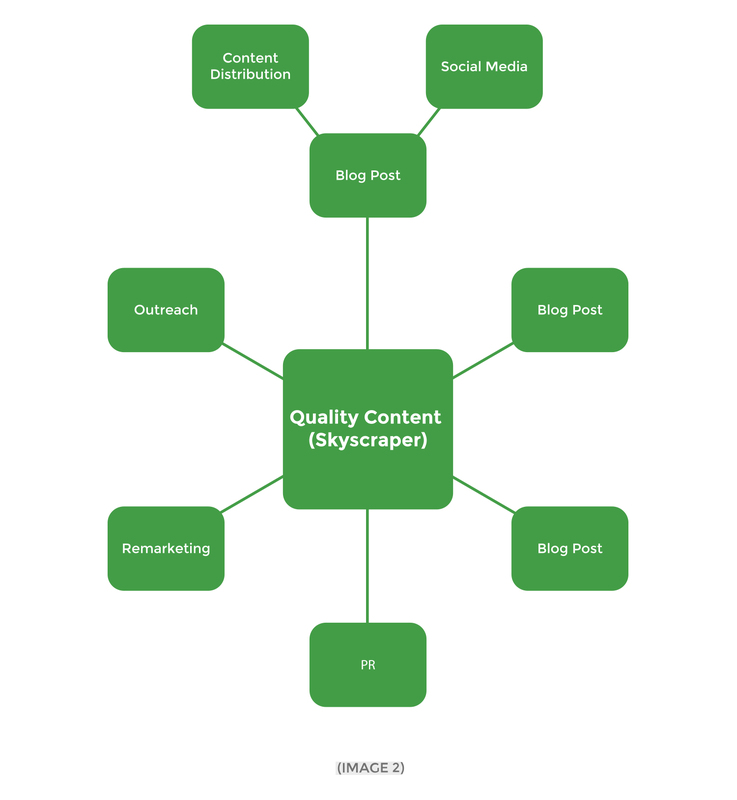 However, good content is a powerful tool in improving website authority. Using a proven approach to success from research and strategy to content production and promotion (image 2), our goal was to build a robust, sustainable website funnel by employing high-quality content. Tip: Be wary of SEO companies who only talk about all the good content they’re going to write, and not about how they’re going to turn that into high-quality links from authority sources. Content is easy to copy/recreate! Effective authority building is what really separates SEO companies. Our team developed high-quality content both on our site and on industry/niche websites that could benefit from our content. This meant spending a lot of time developing consumer-friendly, sharable, interesting, in-depth content that could make an impact on both users and content aggregators. Once in place, we promoted our content through social media and to websites likely to link to our resources and content (image 3). Gathering a list of influencers and target websites, our outreach campaign helped us increase website authority, improve rankings to blog pages, and increase our industry reach. We also created industry information hubs, a few images/infographics, interacted a bit in social media, and acquired guest placements. On top of those higher quality activities, we did some work on basic directory submissions in our area and niche, built some high-quality web 2.0’s, and did some high-quality commenting (not the bulk stuff). The first 6 months, the difference in performance between our elbow grease strategy and the company from Asia was minimal. Our site ended up bringing in 807 visitors to their 760. Not a number I’d be able to justify our higher rates based on. The majority of their traffic came from a handful of keywords, while ours represented more diversity. Besides the handful of keywords they were targeting, the long-tail and other phrases that we were targeting weren’t even being ranked for. They were clearly targeting a hand-selected number and hitting them hard. Our traffic was more diverse, and we were ranking on every keyword we had selected. Certainly not on the first page, but the rankings were there, representing future value as we continued on with our SEO strategy. At this point, the progress looked good and we were optimistic for growth. Which brings us to months 7-10 (image 4). Month 9 showed solid growth, but in month 10 we really had our breakthrough. At the same time, the site we were competing against took a hit. When you take shortcuts in SEO, eventually it comes back to bite you. It’s impossible to say when, but if all your links look to be low quality, Google will figure it out. Our website saw some key rankings jump while theirs was on the downswing, with continuous improvement on a weekly basis since then. Mixing our short-term strategy of easier keyword targets with the higher-reward, long-term keyword strategies, we were able to build traffic, maintain rankings, and experience long-term success. 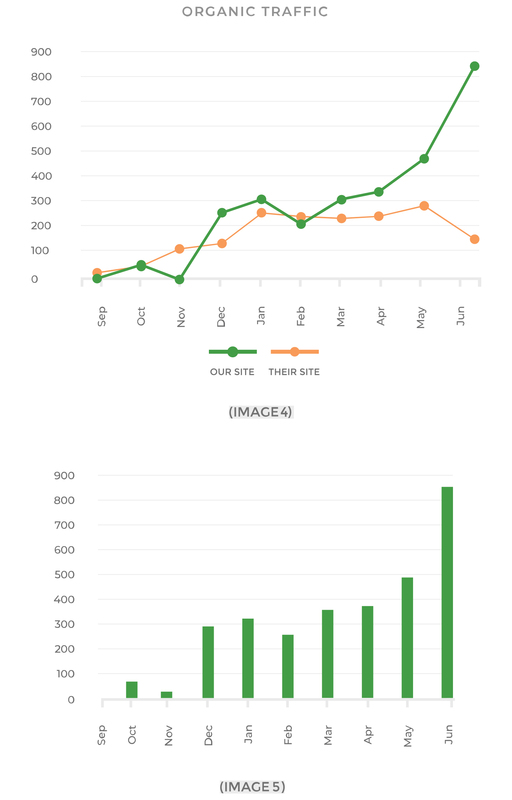 Most importantly, our traffic was quality, growing leads along with traffic (image 5). Not only have our rankings help their positions and continued to climb, the nature of our long-term strategy has us poised to continue the trend of increased traffic. Our short-term goal is to drive profitable traffic on easier keyword targets while keeping an eye on long-term goals of achieving rankings on more difficult keywords. Now that we’re beginning to rank on some more competitive keywords, we have even more in our sights.